Attention to detail has been paid here, by Aldo! 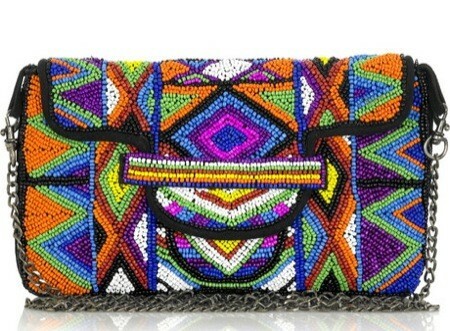 Check out the beading! Handle with care! 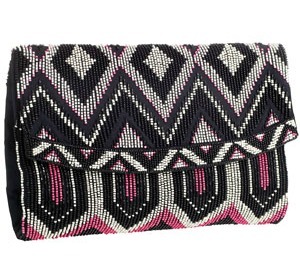 Loving the colours Monsoon picked out here with their Tribal Clutch bag! Ahhh! The colours! One of my favs! 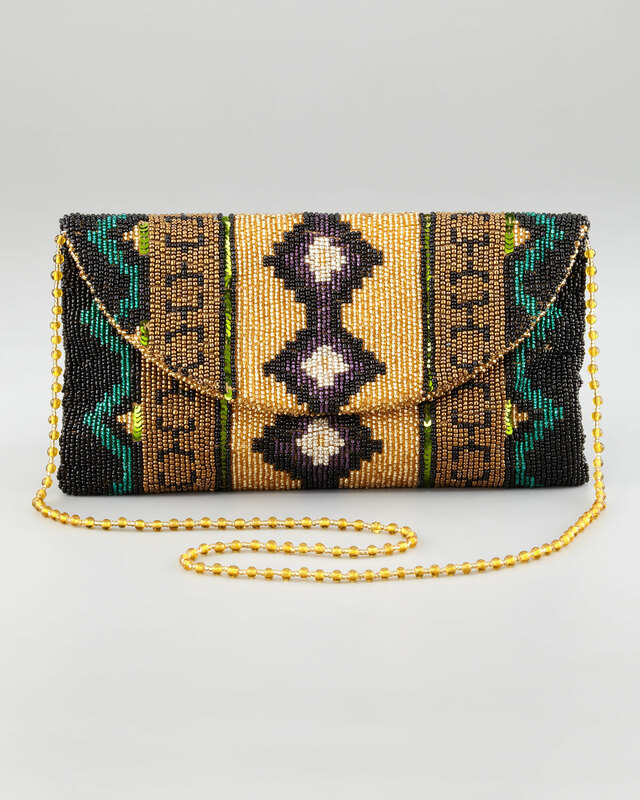 This Tribal beaded clutch by Maje will have any outfit popping! 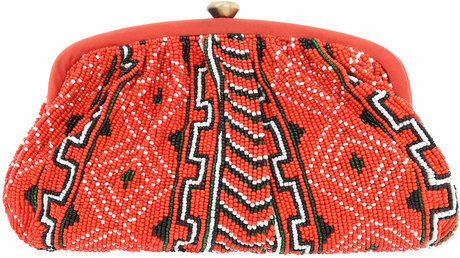 Dune are really sophisticated when it comes to their shoes or bags. 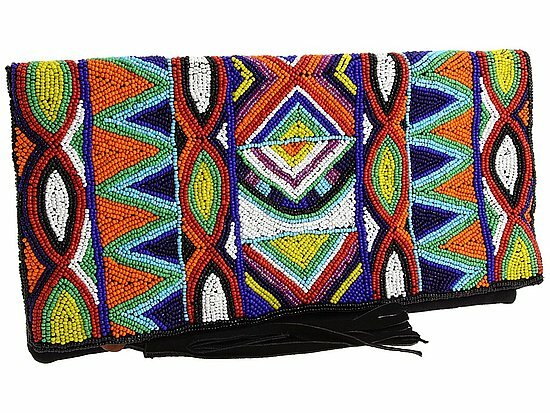 So I guess this is a sophisticated Tribal clutch bag! I like! 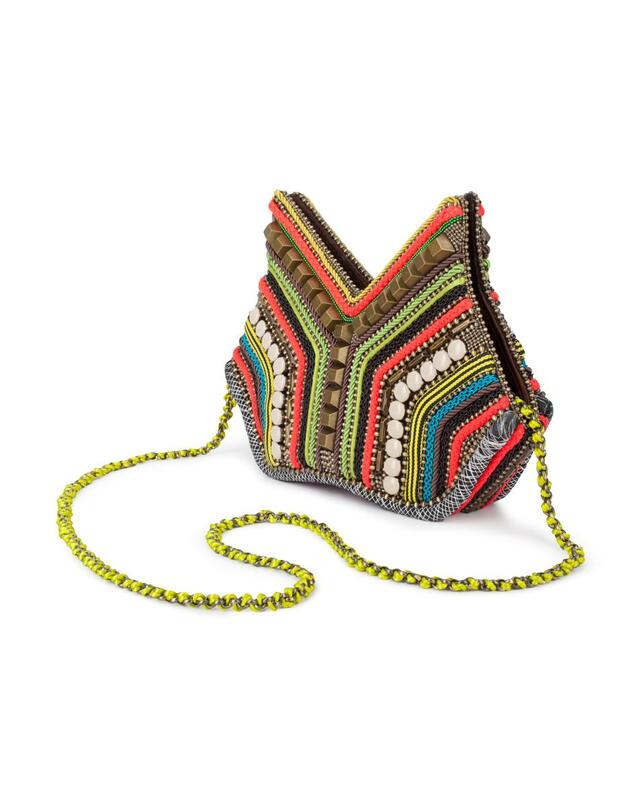 Santi Navoho got real cute with this one! You’ll find it difficult NOT standing out in this one! 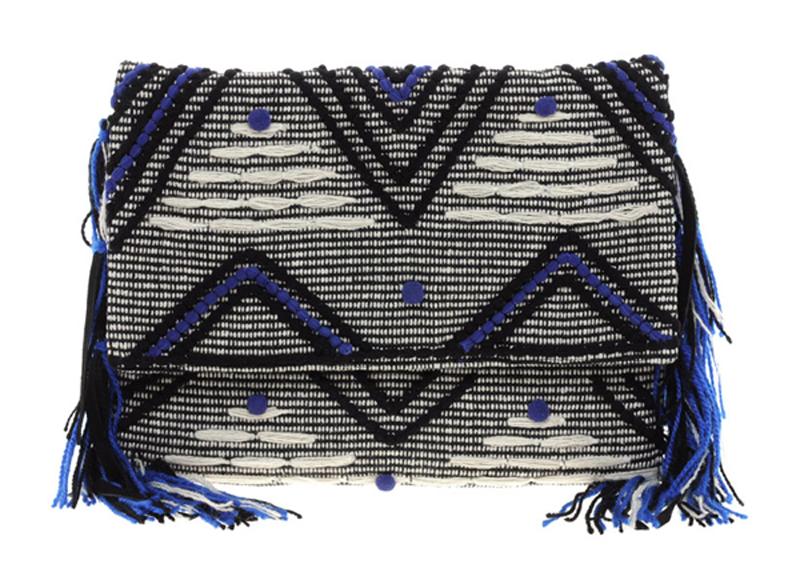 Zara have quite a few Tribal clutch bags I liked, but this one really stands out to me. The top part reminds me of a Zebra and all the detailing below! Gorge! I need one! By Tutubi! 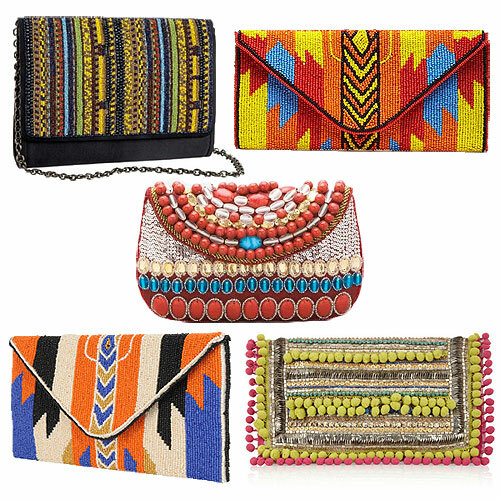 They have a huge selection of Tribal bags! But I’ve never see one as HOT as this! Everything from its shape, to the colours to the detailing! 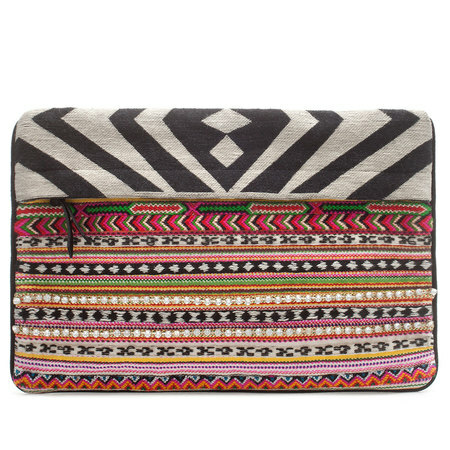 Forever 21 are about that Tribal Life too! Their spot on with this one! ASOS were feeling blue! The added fringe on the sides? Love! This would go great with a denim look! By Moyna! Isn’t she gorgeous! 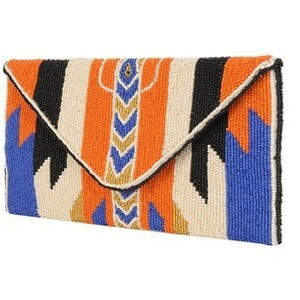 Another interesting print that would add a bit of Tribal Glam to any outfit! TRENDS: A DARK SHEER FANTASY!